This all season mat made from used conveyor belting will prolong the life of your athletic facility. Used to cover long jump pits, pole vaulting pits, and the track surface. Provides protection from all weather extremes, foot and utility vehicle traffic. Especially good for sealing water snow and ice. Easily cut with a utility knife to fit any specifications. 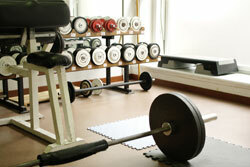 Locker rooms, weight rooms, health clubs, fitness centers, and field house. This mats made from used conveyor belting will provide protect from foot traffic, cleats, and barbells. Easily cleaned. Easily cut with a utility knife to fit any specifications. Our rubber belting can be used as mats to provide walkways for ice skaters and the protection of floor surfaces of skating rinks. 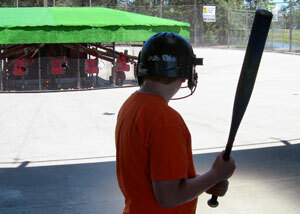 Also great for batting cages and batter's box foundation mats. Protect your weight room floor by using our recycled conveyor belting cut to size.